Northstar Resort is offering all-inclusive 3-day women’s Ski and Snowboard lesson camps focused on health, wellness, camaraderie, and of course, skiing/ riding! 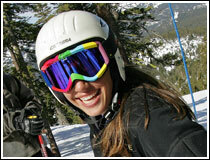 All camps are taught by Northstar Resort’s top certified female instructors. Complimentary Extras > these extra goodies are on the house! On-site shuttle transportation to your lodging accommodations. Book a last minute lodging deal and select from over 210 units featuring hotel style rooms to spacious 6-bedroom homes. Get access to photos, descriptions and rates from the link below. For reservations and information, please call 1.800.GO.NORTH. * Hurry! These offers are based upon first come, first serve. Some restrictions apply. Not valid with reservations previously booked. ** Mountain Homes not included. Based on double occupancy.